Every artist has an audience. I know it doesn’t always seem that way. If you’re staring at a list of thirty Instagram followers consisting mostly of indifferent co-workers and Russian spam-bots – I can understand the incredulity at that opening statement. But it’s true. The difference between the 30-follower artist and the one with 100k isn’t that one of them has an audience and the other doesn’t. It’s that one of them has been more successful in finding their audience. Being able to find an audience for your work is one of the most underrated skills of the successful internet artist. But how do you find an audience? Well, it’s easier than you think. If there’s one thing the internet has in abundance – it’s people. That and cat pictures. But a lot of those cat pictures are posted by people. And chances are some of those people will probably like your art (especially if you paint cats). When I first started posting my art to Instagram – I was constantly bogged down by a voice in my head shouting – “Who cares?”. Who cares about one more artist throwing their works onto Instagram? Who cares about how much work goes into anything I post? Who cares if my work is successful or is fated to disappear to the ether of the internet? Who cares? The truth is – a lot of people care. And I’m going to show you how to find those people. Instagram hubs are larger art profiles that cross-post art from smaller profiles. Getting your work featured on a hub can be a great way to boost your following. There are a ton of hubs on Instagram featuring works from varying aesthetics, so whether you paint illustrious saturated landscapes or take somber, monochromatic profile photos – you’re sure to find a hub that fits your niche. This is the easiest way for a profile to get early exposure. Remember that these profiles already have an established audience who provide more engagement and more value to your posts. While some of these profiles may charge fees for cross-posts – there are some that will post your art as long as they believe it’s a good fit for their profile. Hashtags are how users on Instagram and Twitter discover new artists. If you go to a post by any successful artist on Instagram, you’re likely to see a list of hashtags flooding the bottom of their image description. It might seem a little cheesy at first – an artist reducing their work to easily-digested keywords and phrases – but it’s important for any artist to have them. In a world where users are endlessly flooded with a flurry of options for curating the content that drips through their feed – hashtags make it easy for users to cut through the clutter of images to find users that they want to follow. Picking the right hashtags for your posts can make a big difference in which users view your work. That’s why it’s important to research the hashtags that will allow you to target your niche and give them a chance to find your work. There are certain hashtags that are vastly more popular than others. For example, #art yields upwards of 2.7 million results. While these sorts of hashtags can be good for getting immediate exposure – it’s often too short-lived to be an effective way to gain followers. With so many users tagging their works with the same thing – it’s easy for your work to drown in a sea of posts. You can use some popular hashtags if you want – but keep in mind that it’s going to be more important for your art to stand out in this case, since the exposure will be so short. Also keep in mind that you’re limited in the number of hashtags you can use, so it might be best to target more specific hashtags where you’ll get more prolonged exposure. Now comes the question of which hashtags to use. You want the hashtags you use to be popular enough that users are actually exploring them but niche enough that you’re getting exposure out of them. If you plan on monetizing your account later on down the road – it also helps to think about trending business niches and how to use hashtags that will adhere to how you plan on monetizing your profile. You can find the right hashtags in a number of ways. Start by exploring the hashtags that more popular profiles are using and see if your art would be a good fit for the Explore page under that hashtag. Have a document open on your computer while doing this so that you can track which hashtags you’d like to use. There’s also free tools like Display Purposes that you can use to explore hashtags related to the ones you already have. The idea is to compile a list of keywords and phrases that best describe your art to the audience you’re seeking. Once you start using these hashtags, you’ll start to notice more followers and more engagement on your posts – which helps to boost them in the feed of users already following you. Hashtags are important – but they’re not the only way to find your audience. 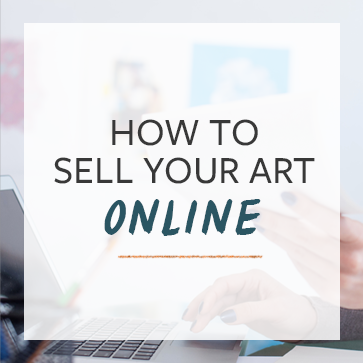 Chances are if you’re looking to start promoting and selling your art on social media, you’re already following artists with niches similar to yours. It’s likely that users who follow these artists will be interested in your work as well. Start by identifying accounts similar to yours that might have more followers. If you’re already using your hashtags – you can find these accounts by viewing the feed for one of the hashtags and checking out the most popular posts for that tag. From there – find some artists you think would have followers that might like your art as well. Generally this is as easy as picking the artists that you like the most. Keep in mind that artists don’t need to have your exact style and aesthetic – but an audience that would cross over significantly with yours. Once you have some followers – engage with them. This means liking and commenting on their posts and following some profiles that are most interesting. Remember that Instagram is a community. You’ll find that as you start to engage with users – they’ll engage with you back. You’re likely to get a handful of follows out of this as well as likes and comments. Remember that Instagram determines the value of a post by its likes and comments – which means that having users engage with you is also going to boost your visibility on top post pages and other users feeds. Every artist has an audience. Hunting for your niche on social media can seem daunting – but take it from me that it’s worth it. The more focused and more evolved your campaign to find followers is – the more successful you’ll be as an artist on Instagram. HarveyStewart is a writer and digital artist based in Toronto, Canada. He’s written about content marketing, futurism and technology. He graduated from York University in 2012 with a degree in Journalism. Want more on finding your target audience? Thanks for the info, was very helpful!.